We know, you just want to be left alone! 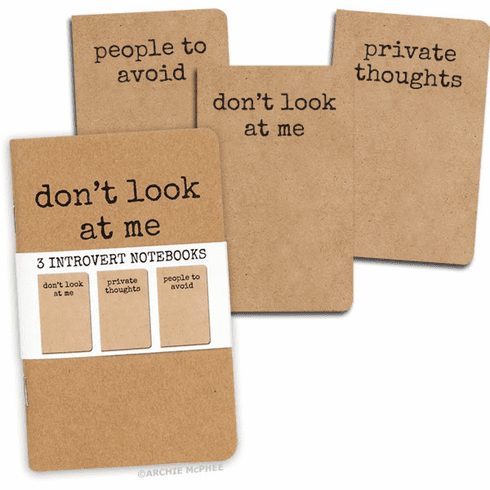 But, while you're alone, you can write in this set of three notebooks labelled Don't Look at Me, Private Thoughts and People to Avoid. Each 48-page, 5-1/2" x 3-1/2" (14 cm x 8.9 cm) ruled paper notebook has tips for introverts on the inside front cover and a pocket in the back. Set of three attached with paper band and bagged. ISBN.